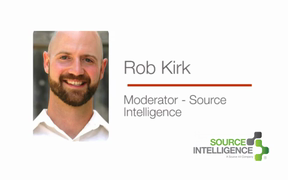 If you missed the live stream of Source Intelligence’s “Conflict Minerals Filing Challenges” webinar don’t worry, here it is. The webinar addressed the steps that can be taken right now to get your organization ready to comply by the May 2014 reporting deadline. Their cast of experts helped viewers gain cross-industry best practices to craft a streamlined process and implement a conflict minerals program for reporting and beyond. Patricia Jurewicz is the founder and Director of the Responsible Sourcing Network, a project of As You Sow, where she has worked with the shareholder community to address labor and human rights abuses since 2006. Currently she sits on governing or advisory committees for the PPA for Responsible Mineral Trade, the Cotton Coalition, ICCR’s Human Trafficking Group, and the Conflict Free Smelter Program. She has 20 years of diverse experiences related to supply chain manufacturing and corporate responsibility. Patricia has held positions with the Institute for Agriculture and Trade Policy, Gap, Inc., and women’s cooperatives in Latin America. She has degrees from Thunderbird International Business School, Cornell University, and the Fashion Institute of Technology. Michael Littenberg is a partner in Schulte Roth & Zabel’s Business Transactions Group and heads the firm’s public companies practice. As a significant part of his practice, Michael counsels both domestic public companies and foreign private issuers and their boards, board committees, special committees, executive officers and investors in connection with ongoing compliance under the U.S. securities laws and with exchange requirements. His public company clients range from well-known large-cap companies to growing micro-cap companies and his experience spans every major industry. Michael also counsels a significant number of private companies in transactional and general corporate matters. Jordan Groves has spent the last 25 years working within the technology sector in operations, product management, sales and marketing. He spent more than 10 years in distribution managing relationships with major electronics manufacturers and their two-tier channel partners. Jordan has spent the last 15 years with a sales and business development focus providing enterprise class software and hardware solutions across a broad range of vertical markets. Today, Jordan’s life evolves around conflict minerals as he works with Global 2000 and Fortune 500 organizations to help them understand the implications of Dodd-Frank Section 1502 and how his organization, Source Intelligence, helps clients address the regulatory requirements of this unprecedented law.